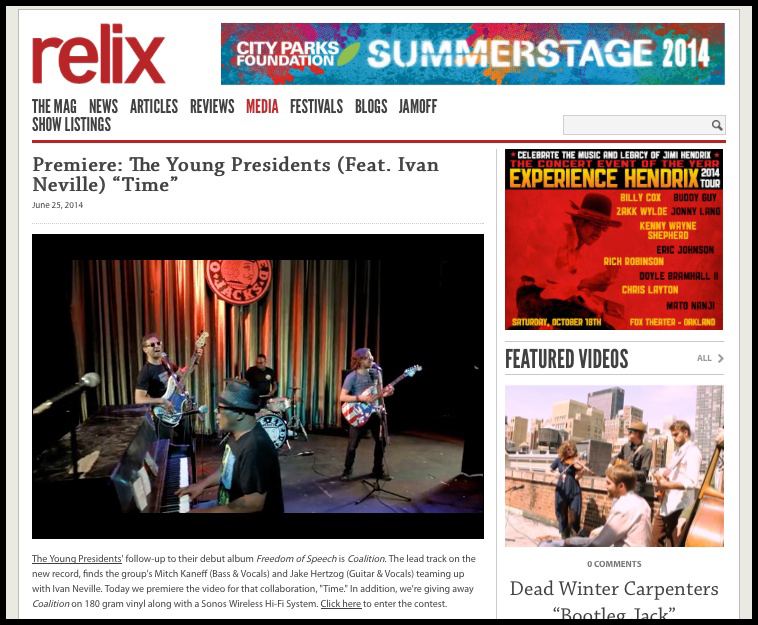 NYC’s The Young Presidents debuted their new video for their soulful single, “Time” yesterday via Relix.com. The video was shot in New Orleans and captures that wonderful, unique vibe that only that special city possesses. The song is off the band’s debut album, Freedom of Speech is Coalition. Did we mention the song features Ivan Neville on lead vocals? Totally does.